Caravan Parks in Australia offer a great holiday experience for a family and On-site Caravans can give you that experience throughout the year. Caravan Parks all across Australia allow you to park your Caravan or set up your tent and enjoy the great outdoors. There however is an area where Caravan Park management may designate for permanent On-site Caravans. The owners of these vans pay rent to keep their van there all year round. While the rent the On-site caravan owner pays will be a lot less than the regular nightly tourists, it does give the park owner a consistent revenue stream. The number of On-site Caravans a park has will vary and also throughout the year there will be several on-site caravans for sale. Families may have grown out of their van experience and are no longer using the van enough to justify the yearly site rental. This offers a great opportunity for people interested in considering buying one. If you are keen to investigate there are a couple of points to keep in mind. An On-site Caravan is a commitment, you will pay the buying price and then you will be committed to paying the quarterly site rental fee. If things don’t work out and you need to sell it, it may take some time before you find a buyer. 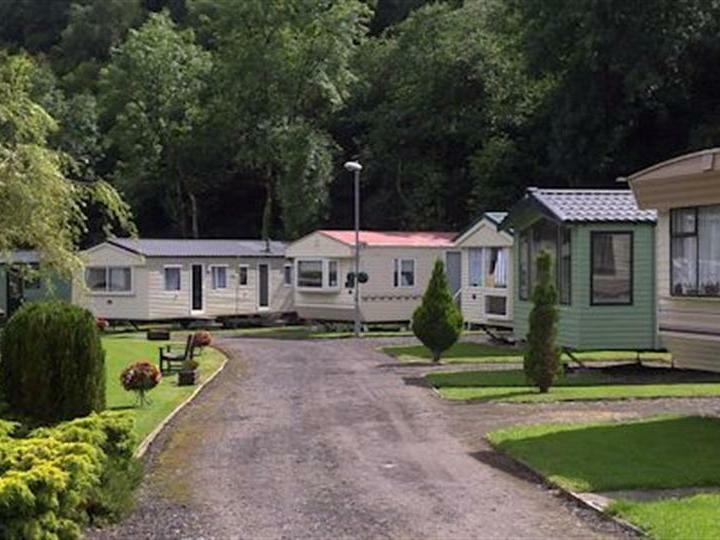 Investigate the Caravan Park thoroughly, checkout the facilities, are the facilities maintained regularly? Is the management looking after the park and will they look after you if you join their family of On-site Caravans? Speak to the other On-site Caravan owners, ask about their experience in the park, how long have they been there and is the park management easy to deal with? Are there a lot of on-site caravans for sale? If there are many for sale, what is the reason? When researching an on-site caravan for sale, compare the price to other vans in the park. If it’s a higher price, does it have more features and offer more comfort than the others? The higher end on-site caravans can include features such as a full entertainment system, plasma TV and WI-fi connection. They may also have an ensuite toilet and shower, fully functional kitchen and entertaining area. Regardless of price, it never hurts to negotiate, the owner may have had the van on the market for a long time and be getting desperate to sell. If the park has an on-site caravan for sale that you like then it’s a good idea to stay in the park for a holiday and see what type of guests the park attracts, are they family oriented or are they young and noisy? If you are planning to stay during peak periods then it’s a good idea to see how busy the park gets during these times. If there is only one small swimming pool and 50 children, it may not be an enjoyable experience. Before you sign any paperwork, speak to the management and see if they have any requirements that you need to be aware of? Do they allow you to make adjustments to the Caravan? Or do you require them to give you prior approval? If you have big renovation plans you may want get their feedback first. Are they planning to redevelop the park at a later stage? How will the On-site Caravans be affected? Finally, it’s important to make sure that you check that the paperwork is correct, ask for a copy of the Occupation Agreement. There will be a lot of information in this agreement such as annual costs and park rules. It will also contain the details of what included and what’s not. Some On-site Caravans for sale may include furniture, entertainment system, bedding, and even bikes and toys. If you consider all the above point, you are on track to have a stress free purchase. On-site Caravans can offer families a chance to experience the great outdoors and have a holiday home where you can enjoy weekends away in comfort. Have a look to see if there are any On-site Caravans that you are interested in on Holidaylife.com.au.